Why Brookeville House Assisted Living? Since we opened our doors in 2009 our residents have all become part of our family. Originally we started off caring for our own family members because we did not want to place them in a nursing home. We felt that our loved ones would benefit more from living in a home environment vs a facility. Therefore our business evolved and through word of mouth we grew providing assisted living services to seniors in the community. Today Brookeville House represents a new concept in assisted living. We have old fashion values with high standards that respect our elders while providing them with the compassionate care they deserve. Our lovely homes cater only to a small group of seniors using the most advanced and innovated care systems. That way our qualified staff can pay the utmost attention to each residents needs and spend all the time required to provide them with companionship and care. We customize our programs, menus and activities to the individual. We offer a worry free atmosphere that allows peace of mind not only for the resident but for their entire family. Families are a very important part of our household and are always welcome to join us and participate in our day. Our philosophy at the Brookeville House Assisted Living is to allow our residents to age in place while receiving the highest quality care. Our compassionate certified staff that are available 24 hours a day, 7 days as week to provide the utmost attention and assistance to our residents. These personalized care homes are actual homes so residents feel comfortable and safe while in familiar, home-like surroundings. 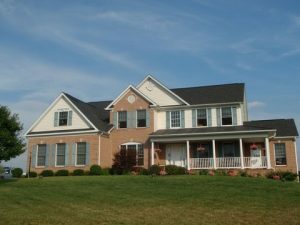 We offer three unique assisted living homes centrally located in Montgomery County which attracts families from all over the DC Metro area due to our superior services. What does that means for your loved one?